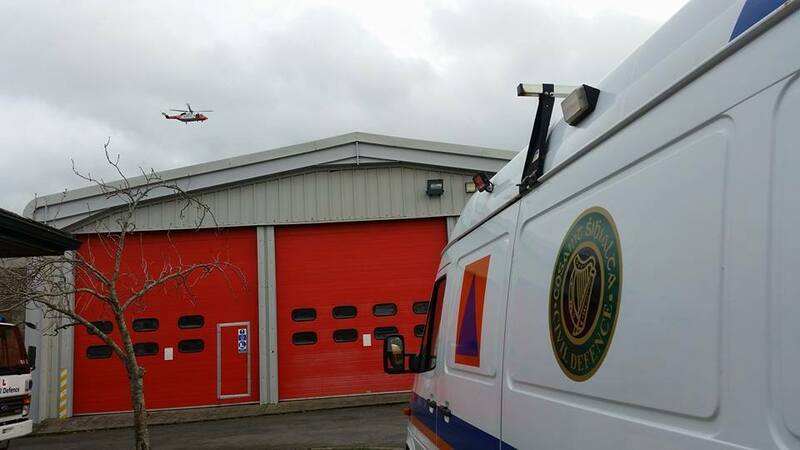 As emergency, defence, voluntary and rescue teams were dealing with flooding, providing welfare and humanitarian aid across many parts of the country, Gardaí, the Civil Defence, Irish Coast Guard and other Search & Rescue teams have had a double task on their hands since Thursday 3rd December as they continue to search for a missing person in Clonmel, Co. Tipperary. As weather conditions worsened on Friday night 4th December the search was concentrated on the River Suir area. 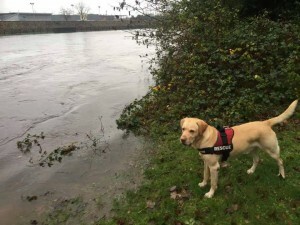 A number of boat crews and SwiftWater Rescue teams from Tipperary Civil Defence searched along the flooded river while land search teams performed a bank search with the assistance of a K9 Search Dog. 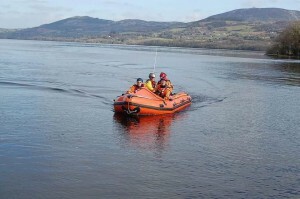 The Irish Coast Guard Rescue Helicopter from Waterford and the Garda Air Support Unit also assisted in the search. Earlier on Saturday 5th December, further assistance was sought from the South Eastern Mountain Rescue Association and the Search & Rescue Dog Association.